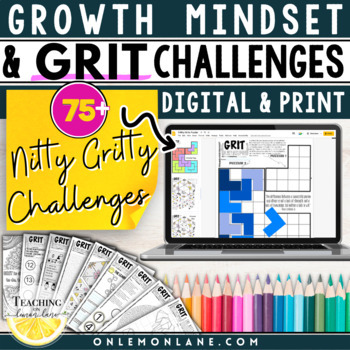 GRIT and Growth Mindset are the hot topics in the classroom at the moment and for very good reason. However, most products, blog posts, and resources only discuss what it is, what it looks like, and the importance of it. 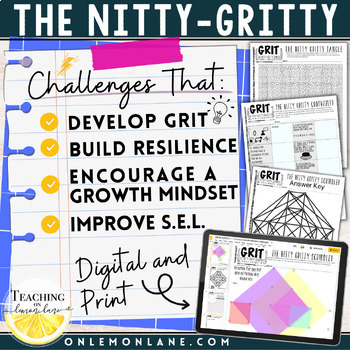 This activity as well as the other GRIT challenges allow you to explicitly teach it. These activities are designed to make the students struggle, fail, and to experience the depths of the learning pit. By doing so you are able to pin point those emotions, and thoughts, and capitalize on them. I introduce this activity the first week of school. 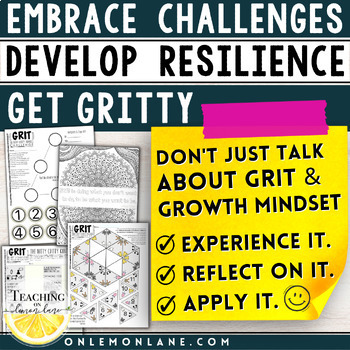 A tough activity is the perfect discussion starter as to why it is so important we facilitate a growth mindset and know what GRIT is. Once introduced I continue to introduce about an activity a week until the end of the year. I like to give students about a week per activity. This gives them time to wrestle strategies or questions and ponder on the challenge at hand. ***Remember a key component of GRIT is endurance. Grit is something displayed overtime. 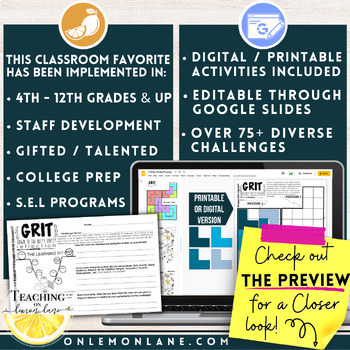 Download both Activity 6 and "The Big Scribb" whole class activity exclusively for FREE at onlemonlane.com find it in the Teaching Digital Library! My favorite part of this product is the reflection sheet. Students identify an emotion on the learning pit that best illustrates where they were before the activity ended. This activity requires a minimum of 30 minutes per sheet. By no means will a student finish the entire page, however if you are short on time this will allow enough time for students to get the jist.